Patient with severe gum recession treated with Oracell. In health, the attached gingiva overlying a tooth serves a protective function. As we age, or as a result of gum disease, the position of the “gum”, or attached gingiva, will become more apical. Over time receding gum tissue will result in exposure of the soft root structure of the tooth. This will make the tooth susceptible to root decay, sensitivity (chemical and temperature), and periodontal problems. Once soft tissue is lost, it will not regenerate. Many surgical procedures exist to correct the loss of tissue covering the root surface. Most involve the use of autograft tissue. 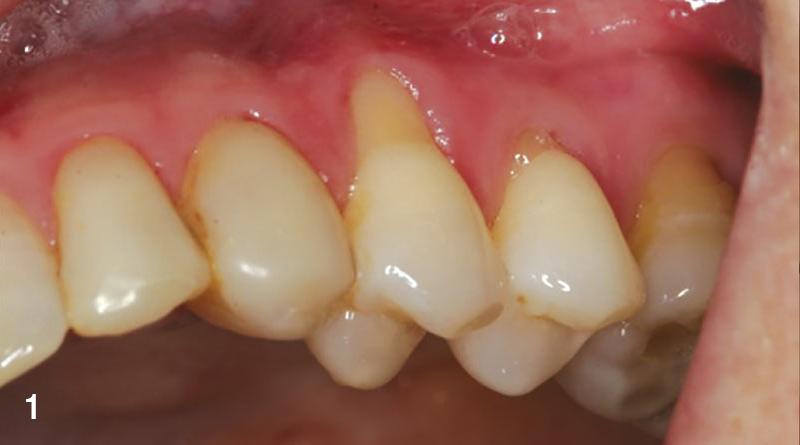 To successfully restore gum to its physiologically protective position, many factors must be considered: position of the tooth, available attached gingiva, amount of bone support for the soft tissue, esthetics, and health of the patient. 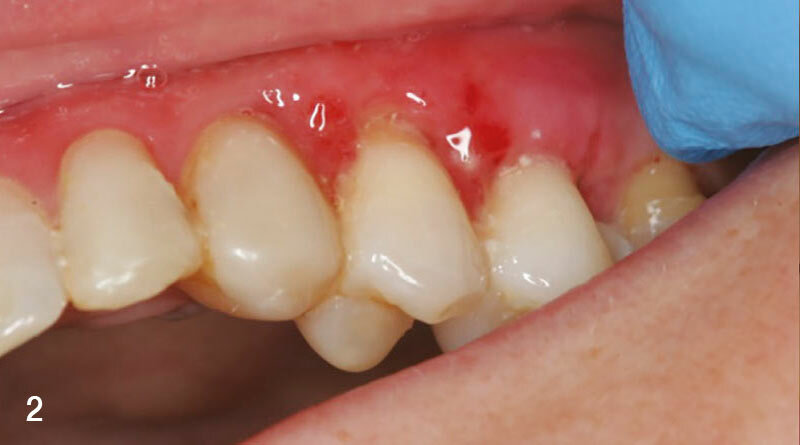 In this case, a patient with severe gum recession was treated with soft tissue allograft. Gum recession was seen in the upper left first bicuspid, and adjacent areas not needing immediate attention. (Fig 1). Η εταιρεία εμφυτευμάτων MIS γράφει ιστορία με το Διεθνές Συνέδριο της.